Beginning with Columbus's first landing in the New World, European nations laid claim to what would become the United States. Vestiges of that history are part of the American landscape. 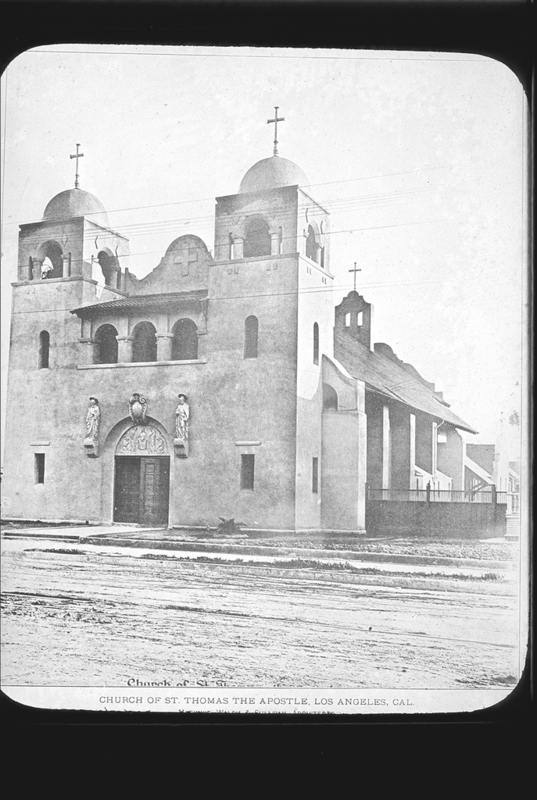 Spanish missions from Florida to California, the distinctive architecture of the French Quarter in New Orleans, place names like New London, Lake Bayou D'Arbonne, Harlem, Las Cruces, etc. The lessons in this unit are designed to help your students make connections between European voyages of discovery, colonial spheres of influence, and various aspects of American culture. How did England, France, Holland, Russia, and Spain come to make claims on territory in North America? What was the impact of these multi-national influences on the settlement of North America? Map 18th-century Europe's impact on what is now the United States. List remnants of European influence that remain today. Connect marks of European influence with specific explorers. Review each Activity in the unit. Print out and duplicate and/or bookmark any images included in the lessons. For the purposes of clearly explaining the activities, the activities below assume a class size of 25 students. Adjust the group assignments as needed to fit your class. 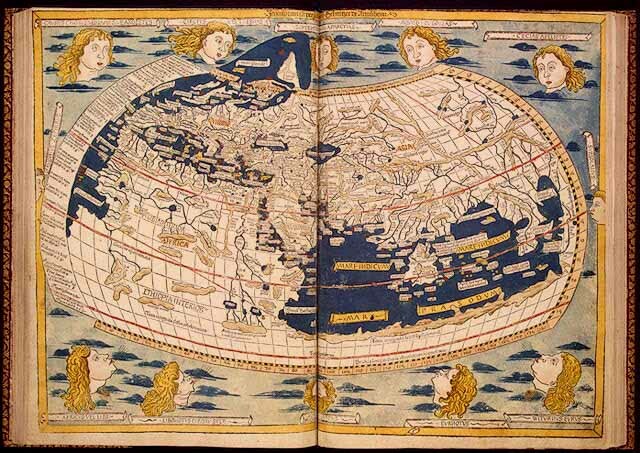 As background material on the 1482 map used to introduce Activity 1, print out and duplicate and/or bookmark the information about the World Map (In [Donnus Nicolaus Germanus] Cosmographia, Claudius Ptolemaeus Ulm, 1482. Thacher Collection, Rare Book and Special Collections Division), found on the Library of Congress website, a link from the EDSITEment resource American Memory. The entry is located about three-quarters of the way down the page and is the second to the last entry. To create the outline map of European territories in the New World for Activities 2 and 3, use European Territories in the New World from Encarta, a link from the EDSITEment resource The Internet Public Library. Outline maps of the U.S. are also available from the EDSITEment-reviewed website National Geographic Society Xpeditions. Draw in the outlines of the European territories. The Netherlands' territory includes Manhattan. Though this area is small, it is significant; if necessary, mark the area solid black to increase its visibility. Make five copies of the map. Cut apart the territories to create a kind of jigsaw puzzle and place the pieces in an envelope. If possible, include Alaska and attach it to Russia's claims in the northeastern United States. To make the Lesson more dramatic, hang another large map on a bulletin board in class. Do not mark off the territories or cut the map. When each group makes its presentation, the students can attach their territories to the blank map. In this way, America will be put back together in your classroom! There is no North or South America. The Indian Ocean is shown surrounded by land. As a result of Columbus' voyage, Spain made the first claims to the New World, but other countries soon made claims of their own as a result of the voyages of their explorers. By the 18th century, North America had been divided on the basis of these various claims. Divide the class into five groups. Give each group an envelope containing the "jigsaw puzzle" map of the U.S., showing the territorial claims of England, France, Holland, Russia, and Spain in the 18th century. Have the groups remove the puzzle pieces from the envelope and put together the America of the 18th century. Tell the students that it would have been accurate in the 18th century to think of America not as one country but as separate territories controlled by European powers, as indicated by the puzzle pieces. Do the students know why those powers were in control? Have the groups mix up the pieces and put the puzzle back together at least once more. European claims in the New World were based on the exploits of a variety of explorers. The temporary ownership of America by various European powers—specifically, England, France, Holland, Russia, and Spain—has left an enduring influence in America as witnessed through architecture, place names, music and other cultural touchstones. Each group then uses the maps, images and media listed below to explain to the class what influence their assigned European nation had—or continues to have—on the U.S. Groups will complete research either in the library or online and make a presentation based on their findings. Each group should begin its presentation by attaching its enlarged puzzle piece to the large outline map on the bulletin board (as explained in Preparation Instructions, above), so that the United States is gradually put back together again. Geography: What are the present-day boundaries of states in the former European territory? History, part 1: Tell about the explorer. History, part 2: Explain how the territory became part of the U.S.
Archives: Discuss the images provided to the group. Show the country's influence. Music: Discuss the songs/music provided to the group. If groups are divided by skill, a student "specialist" (or specialists) is primarily responsible for that area but depends on group members for assistance as needed. Researchers should not do all the research, but rather manage that phase of the work. Under any circumstances, the group should cover all subject areas listed above—geography, history (parts 1 and 2), archives, and music. Instruct each group to regard the assigned images as pieces of a puzzle. How do they fit together to tell the story of the European territory in the United States? Explorer's Voyage: Review Cabot's Voyages, available through Discoverers Web, a link from the EDSITEment-reviewed website Columbus and the Age of Discovery. Architecture: Compare The Four Courts, Dublin Ireland, available via Britannica.com, a link from the EDSITEment resource The Internet Public Library, to The Rotunda of the University of Virginia, Designed by Thomas Jefferson, accessible through a link from the EDSITEment resource Center for the Liberal Arts. NOTE: For the University of Virginia photo, move to the photograph at the top of the page. Song Lyrics: Access the lyrics to the song "Sir William and Lady Margaret" by searching for the title on the EDSITEment resource American Memory. Is it an American song? Image: Why is an Englishman laying the corner stone of a new building at Dartmouth College in 1904? Find out by reading the story Go Big Green, available through a link from the EDSITEment resource American Memory. Place Name: New York. Why New? What's the origin of the name? Explorer's Voyage: Review LaSalle's routes, available through Discoverers Web, a link from the EDSITEment-reviewed website Columbus and the Age of Discovery. Click on "Cavalier de Lasalle 1670-1687" and select "Route." 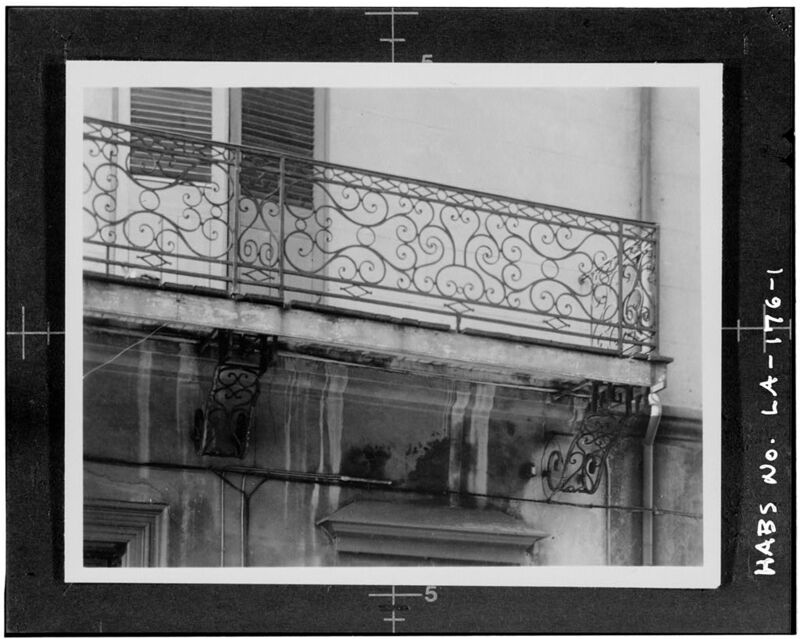 Images: Compare Iron work from a bakery in Paris (available on Paris.org, a link from the EDSITEment-reviewed website American Association of Teachers of French) to Detail of ironwork on a second floor balcony at 343 Royal Street in the French Quarter of New Orleans (available from the EDSITEment resource American Memory). Place Name: Baton Rouge, Louisiana. What language is "Baton Rouge"? What does "Baton Rouge" mean? To find out, enter the words in the AltaVista Translation Service, a link from the EDSITEment-reviewed website The Internet Public Library. Explorer's Voyage: Review Hudson, Map of Third Voyage, available through Discoverers Web, a link from the EDSITEment resource Columbus and the Age of Discovery. In the frame to the left, select "Third Voyage: Map." History of civic services in the city of New York: Water supply No. 1: The first public well was dug opposite the fort. History of civic services in the city of New York: Fire Department No. 1: Fire department founded by Petrus Stuyvesant. History of civic services in the city of New York: Police No. 1: The rattle watch. 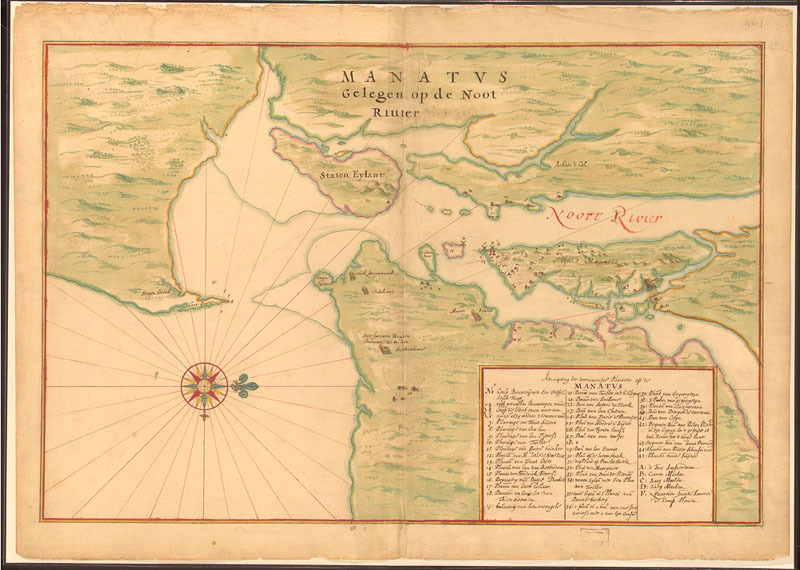 This map of New York City was presented to James, Duke of York (1633-1701), the future James II, shortly after the English captured New Amsterdam from the Dutch in 1664. 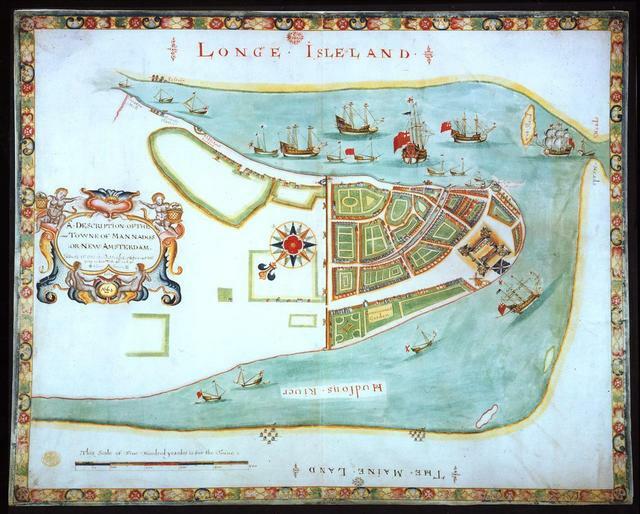 Probably copied from a map made for Dutch authorities in 1661 by Jacques Cortelyou, the map shows the town walls from which the name "Wall Street" is derived as well as the Battery. nu hij het weer zo lelijk vindt?since the weather is so nasty? Nu hij het weer zo lelijk vindt.Since the weather is so nasty. op zijn paardje o zo snel.on his horsey, oh so fast. ja gewis dan kwam hij wel.then for sure he will come. Place Name: Harlem (also spelled Haarlem). What is the origin of this name? Explorer's Voyage: Review a Map of Bering's 2nd Expedition, available via Discoverers Web, a link from the EDSITEment resource Columbus and the Age of Discovery. "Signal Corps Photographic Unit with American Expeditionary Forces North Russia. Lieutenant Charles I. Reid at the left; Master Signal Electrician Grier M. Shotwell at the right. In the background is the Monastery Church of Archangel" can be accessed by searching for the exact title in the digital copies section of NAIL on the EDSITEment-reviewed website The Digital Classroom. Note the building in the background. Photograph. St. Michael's Cathedral, Novoarkhangelsk [Sitka], ca. 1895. Geographic File, Alaska, Prints and Photographs Division (19), available from The Library of Congress, a link from the EDSITEment resource American Memory. Note the building highlighted by the sunlight. Silkscreen image from a photostat of a measured drawing, silhouetted. South elevation, St. Michael's Cathedral, Sitka (Novoarkhangelsk), Alaska. 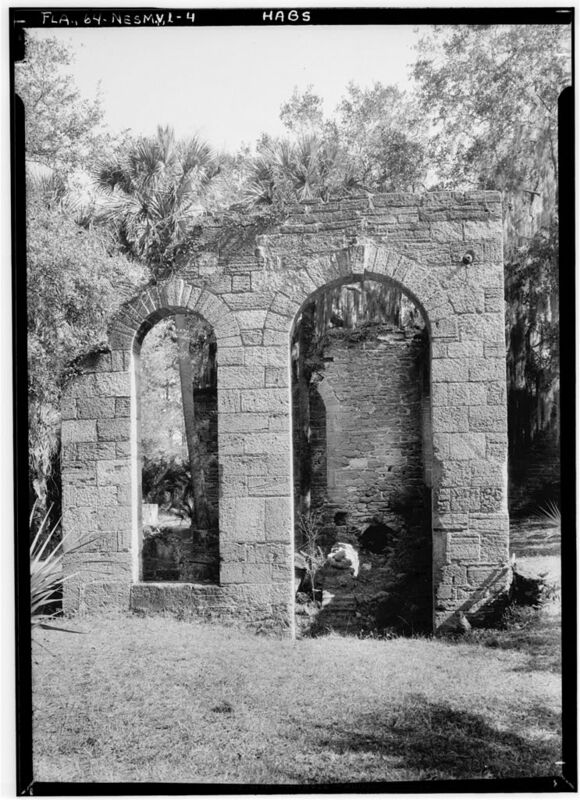 HABS Collection, Prints and Photographs Division (23), available from The Library of Congress, a link from American Memory. 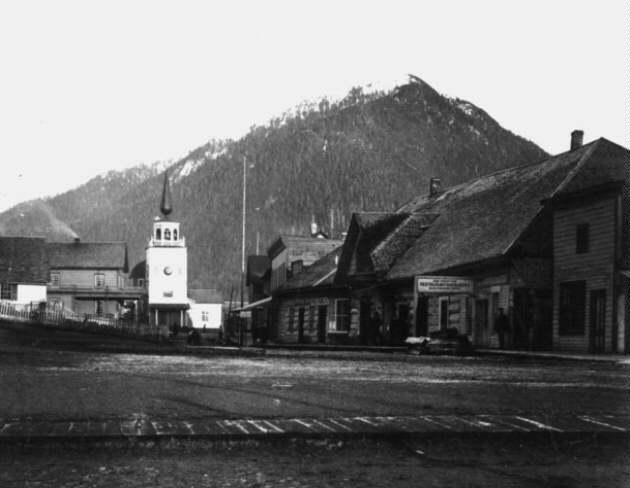 History and Images: Read about the Purchase of Alaska: March 30, 1867, available through a link from the EDSITEment resource American Memory. Audio: Obtain information about and link to a recording of Russian promyshlenniki's song from Alaska (right-hand side of the page), available on The Library of Congress, a link from the EDSITEment resource American Memory. Place Name: Baranof Island (also spelled Baranov). After whom is the island named? Explorer's Voyage: Review 1540, Francisco Vasquez de Coronado's Western Trail, available via Discoverers Web, a link from the EDSITEment resource Columbus and the Age of Discovery. 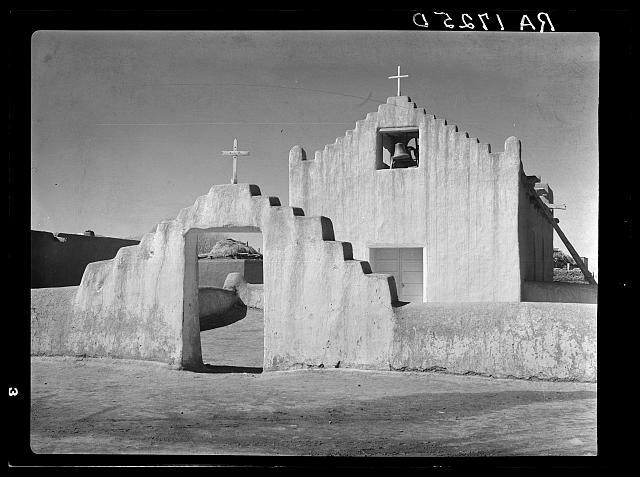 Place Name: Las Cruces. What does "Las Cruces" mean? From what language is the name derived? To find out, enter the words in the AltaVista Translation Service, a link from the EDSITEment-reviewed website The Internet Public Library. Native Americans were greatly affected by the arrival of Europeans in the New World. 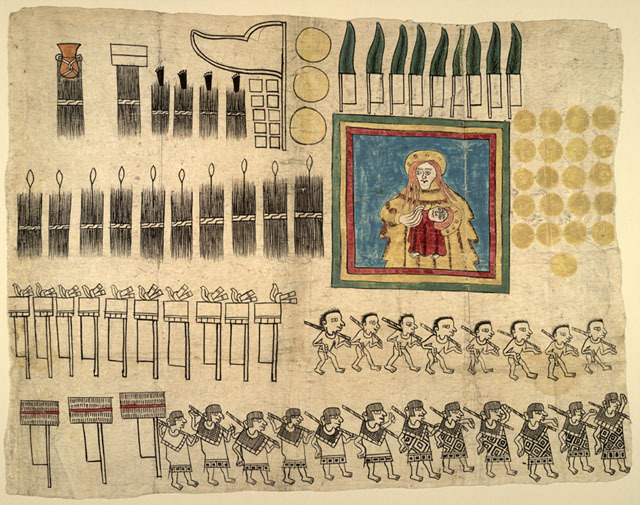 In the Codex, available through a link from the EDSITEment resource American Memory, the people of Huejotzingo told the story of their encounter with the Spanish. Background information about the Codex is also available through a link from American Memory. See the fourth segment on the page, titled "Testimony from Huejotzingo." Share one or more pages from the Huejotzingo Codex with the class. The first page illustrates the products and services provided as tribute to the Spanish. Judging from the Codex, what were these products and services? Identify the territory claimed by the European country. Illustrate the influence of the Europeans in the U.S., such as in architecture. Provide information about an explorer from the European country. Students interested in learning about other explorers should check out Discoverers Web, a link from the EDSITEment resource Columbus and the Age of Discovery, for an alphabetical listing of explorers and many useful related links. The EDSITEment unit On This Day with Lewis and Clark discusses the Louisiana Purchase, a major step in "putting America together again." The EDSITEment unit What Was Columbus Thinking? discusses the effects of European exploration on Native Americans and, to a lesser degree, the effect of Native American culture on the Europeans. Sprocket Works, a link from the EDSITEment-reviewed website The Internet Public Library, features an interactive timemap showing the U.S. borders at various points in history. Students can research place names in their own state that appear to be from a language other than English. Students also can research place names beginning with "New." Where is the "old" place? Recommended reading from The Library of Congress, a link from American Memory, from Carol Hurst's Children's Literature Site, and from The Reading Corner, a link from The Internet Public Library. Winchester, Faith. Hispanic Holidays. Mankato, MN: Bridgestone Books, 1996. Fritz, Jean, Katherine Patterson, Patricia and Frederick McKissack, Margaret Mahy, and Jamake Highwater. The World in 1492. New York: Holt, 1992.